Benjamin Partridge, sheriff of Bay County, brevetted major general for heroic service at Gettysburg and in other battles. At the 155th anniversary of the Civil War Battle of Gettysburg, it is appropriate to recall the heroic activities of several Bay City soldiers in that crucial battle that was perhaps the tipping point toward an eventual Union victory. There are fascinating details in "The Life of David Bell Birney: Major General U.S. Volunteers" that were too lengthy and peripheral to include in my book "Apostles of Equality: The Birneys, the Republicans and the Civil War," published by the MSU Press in 2011. Local historians and Civil War "buffs" have long trumpeted the feats of soldiers from Bay City, including David Birney, his nephew Capt. James G. Birney IV, and Maj. Gen. Benjamin Partridge, sheriff of Bay County. Young Birney, a 19-year-old in the 7th Michigan Cavalry, contributed to the Michigan Cavalry Brigade's heroics in stopping the vaunted Confederate riders under J.E.B. Stuart at Hanover, thus foiling the Rebel plan to strike the rear of the Union line while Gen George Pickett's 15,000 stalwarts crashed into the line's strong front. On the second day of the battle, the 16th Michigan regiment was on Little Round Top, about to face a full-scale attack by a half-dozen Confederate regiments, according to local attorney Gerald Pergande, who has studied Partridge extensively. "It was kind of a scandal, but there was a Lieutenant Colonel in charge of the 16th who ran away and some of the flag bearers followed him, so a couple of the companies followed the flag and they all left, but Partridge stayed and kept the rest of the men there," Pergande said. Out of ammunition, Partridge's men set their bayonets to meet the attack, which certainly would have ended badly for them, but a newly-arriving New York brigade counter-attacked in a charge down the hill, stopping the Confederate assault. "On Little Round Top they played a vital role in the struggle that afternoon," wrote historian John R. Legg. "As the men of the Sixteenth rushed to ascend the reverse slope, they collided with Hood's Texans. Ferocious fighting followed; bayonets punctured, rifle butts swung, and hand-to-hand combat ensued. The struggle and sacrifice on Little Round Top prevented the Union line from being flanked and possibly destroyed." The little Pennsylvania farm town of Gettysburg was abuzz with troops pouring in beginning Friday, June 25. 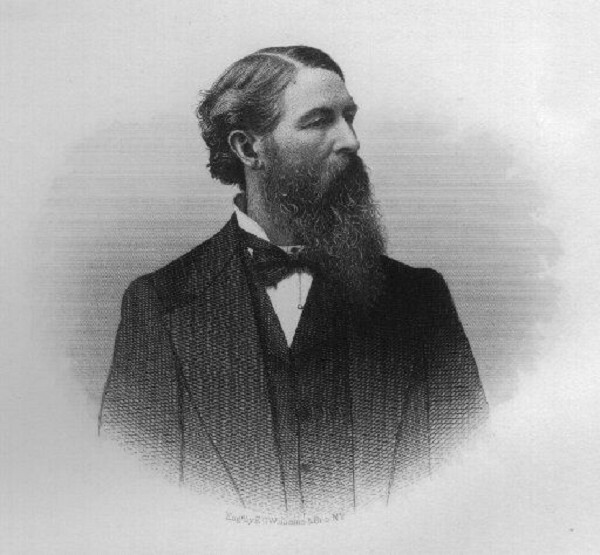 One unit was the City Troop of Philadelphia under command of Congressman S. J. Randall. Three members of the troop advanced $20,000 to pay for horses and the train to Harrisburg for the 90 men of the Troop, described by Oliver W. Davis, David Birney's biographer, "as noble a set of men as ever mounted horses." A notable incident during recruiting occurred when William B. Mann, district attorney, responding to the call of Pennsylvania Gov. Curtin, excused himself from the court, placed a table in front of Independence Hall and in a few hours enlisted a full company and went with them to Harrisburg. The Confederates began arriving on the outskirts of Gettysburg on the afternoon of Friday, June 26th -- 200 cavalry men and 5,000 of Gen. Richard Ewell's infantry, causing City Troop to evacuate the town. On their retreat to York, a Private Welsh, who was less mounted, gave up his horse in favor of Maj. Haller. Pvt. Welsh, retreating from Gettysburg, encountered five Rebel cavalrymen, adorned with straw hats they had confiscated in town. When questioned, Welsh dissembled, telling the Rebs he was neighborhood farmer John Merryman. Welsh took off his hat when one of the Rebels asked to trade for his purloined straw bonnet. The Reb exclaimed: "Mr. Merryman, how long has it been since the farmer's sons in this neighborhood have had their hair cut in that style? You had better come along with us to headquarters and report." Gen. Ewell graciously offered Welsh parole as a much more odious alternative to being confined to Libby Prison. The generosity of Gen. Robert E. Lee is highlighted in another obscure report. Gen. A.P. Hill, who had occupied the nearby town of Chambersburg, had issued an order barring the locals from getting supplies at nearby mills. A lady of Chambersburg solicited Gen. Lee and obtained a modification of the order to receive supplies for the poor and destitute during the Rebel occupation of the town. "Few women would have had the moral courage to have undertaken such a mission, but to this lady, nothing was impossible where the interests of others were involved," Davis wrote. During a fight at Beverly Ford, the papers of Gen. J.E.B. Stuart (Confederate Cavalry leader) were captured, disclosing the plan to attack Gettysburg. "Thus the Union generals were put upon their guard, and no time was lost in moving to oppose General Lee," Davis wrote. Birney, then in command of Third Corps, hurried to Gettysburg, writing to a friend, "the army wishes nothing better than to meet General Lee's men." There, on Day 2, he would replace the wounded Gen. Daniel Sickles, who lost a leg to a cannonball.